There are 2 ways to make a reservation online. For groups of 10 people or less, click the Restaurant Reservation tab and follow the prompts. If the day or time you are looking for does not appear, we must be already booked. Please call the pub at 613-562-5544 to confirm. For groups of more than 10 people, click the Function Enquiry tab and follow the prompts. Your request will be sent to our management team and someone will be in touch with you as soon as possible to discuss your needs. For same day reservations, please call The Earl directly at 613-562-5544 to confirm availability. Thank you for choosing The Earl of Sussex Pub. We look forward to making your event a complete success. Service and food was great. Would recommend ! Had our annual Christmas get together at The Earl again this year (3rd year) and it was great. Nothing complicated. Good service, food and beer. Oh, and the darts...love that dart board. Fantastic, as always! We all had a great time celebrating my birthday with great food and drinks! The tunes were bang on! You know what else I love about this pub? The bathrooms are always super clean  (-: Thank you! The Earl of Sussex hosted our private event. The food was excellent and we had the dedicated attention of their wait staff. This was our third year in a row at the same location. We were very satisfied and will be back again next year. The staff were friendly and the service was outstanding. Our retirement event could not have been better, a big thanks to all of you ! Ryan, Andrew and the team managed our group of 50 very well, and we were able to relax and enjoy the day. Thank you! We'll be back. Service was terrible. Everyone ate at different times, some peoples food was cold. I didn’t get my food until everyone else was done. 2 hours after Inarrived. We were a group of 20 and I spent the rest of the night apologizing to people as this was my idea. Waiter was incapable of handling the lia large a group and he had no support. There was no manager present to address this problem. Had our annual Christmas get together on Thursday. Everyone had a blast. Service and food were excellent as always. Just keep doing what you're doing! I made a reservation on behalf of a group of individuals for a work function and through out the whole process the personnel at the Earl of Sussex were very accommodating especially where we were a large group. The set-up inside where we were seated (the up stairs area which is really a few steps up from the main floor but over looks the main flour. The area was perfect as it was small and given that we were a large group it worked out great as it forced everyone to stand up and mingle rather than sit at the tables. Often when we all go to a restaurant its not that much fun because we are all sitting at different tables but the set-up and location of our seats really worked out well. Everyone was happy and enjoyed themselves which is an indication that the atmosphere and food were all great!!! I would absolutely recommend the Earl of Sussex. Thank you SO much for accommodating us at such short notice. The event was a great success, and your staff was stellar, as usual. Rachelle, it's always a pleasure to work with you! It was a very nice evening...nothing fancy, just comfortable and friendly. After we went up to the hill to see the show, we decided to go back for one more drink. I'm pretty sure we will be back! Everyone helping with hosting and serving duties made our families feel welcome. It would be nice to see some more food options and some healthy ones. Would love to see some vegetarian options. I'm frequently organizing social events for work at the Earl and let me tell you, these folks are professional and will make sure that your guests are treated very well. Unlike other places where everything is overpriced, The Earl of Sussex has specials on happy hour and is really well located. Hats off to the whole team! A volunteer group held a small lunchtime meeting in the pub, including using skype for an offsite participant. The staff were outstanding in helping us set this up and ensuring that we had great food and beverages to help us with our work. They even turned down the music so we could hear the discussion better. We had a large group (75+). The Earl of Sussex staff was outstanding and really hustled to make sure everyone was well taken care of. Attentive service, great specials, cosy atmosphere. This pub is a go to every time I am in town for business. The staff are very friendly and make you feel right at home. The beer is cold and I am told that the owner loves his clean draught lines & it shows - as a beer drinker this is something I truly appreciate - THANK YOU! I had the burger and my colleague had the steak and mushroom pie - both were great! 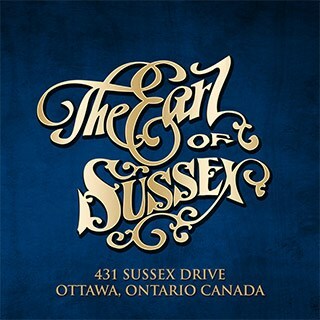 Great job Earl of Sussex - see you again in the Fall! The service at the Earl of Sussex was absolutely top notch, no complaints there. Fast, friendly, attentive. Great job on that. However, it turns out our reservation for 10 was on some kind of private party night. The management made it clear we were infringing on some private party, that we were lucky they were honouring our reservation, and so on. If it was a private party, why did they accept our reservation? It's not like there is nowhere else we could have gone -- there must be a dozen bars just on that block. A simple email with a few days notice saying, "Oops, we have a private party, we can't honour your reservation" would have been fine. Instead, we had to deal with a grumbling owner who quizzed us for five minutes before letting us sit. Then they pitched us out at 9:30. It didn't make us feel particularly welcome. Luckily, as I said, the staff were wonderful, unlike the ownership.